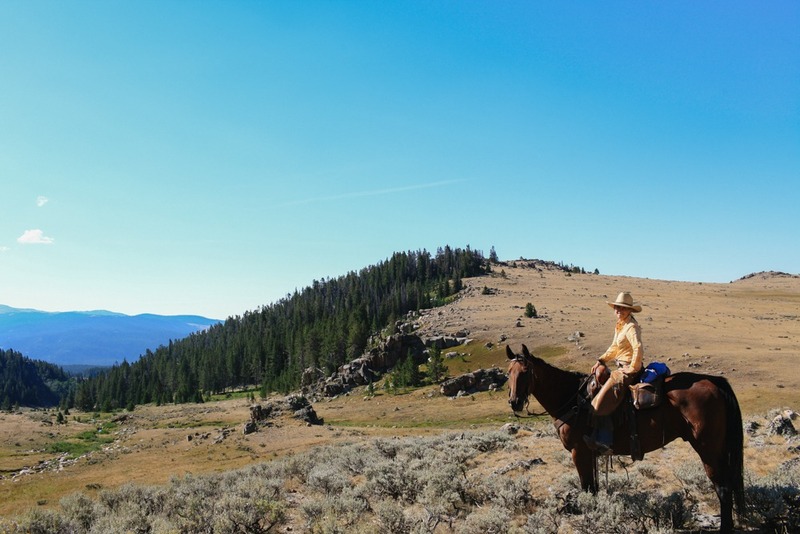 Wide open spaces, Western tradition and mouth-wateringly good food are just a few of the reasons we love globetrotting in Wyoming, USA. 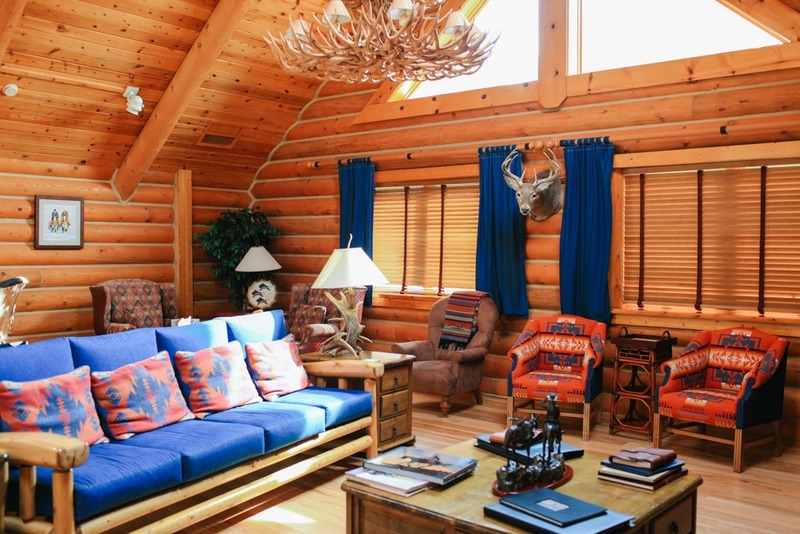 You’ll gasp when you first lay eyes on this upscale guest ranch that backs onto the Big Horn Mountain Range. 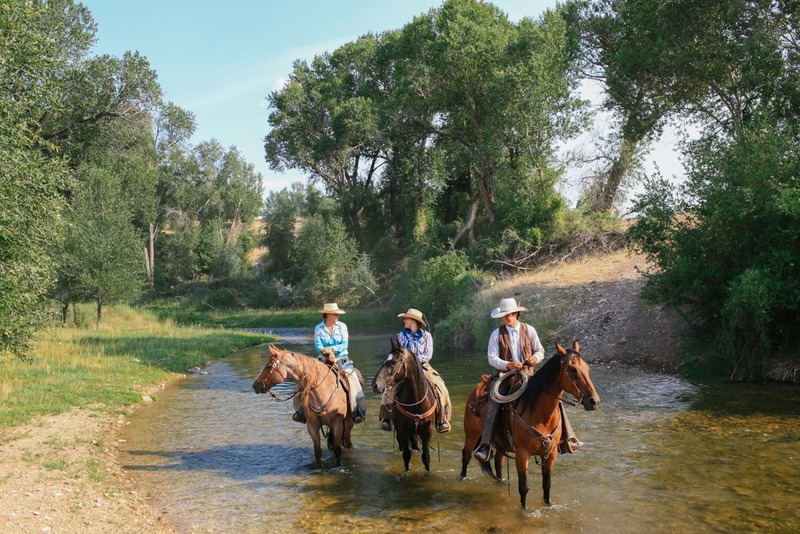 From your bespoke, log-cabin accommodation decked out in western paraphernalia, to the gob-smackingly good food, to the herd of 100 nifty, quarter horses and mustangs to choose from, this working ranch is faultless. 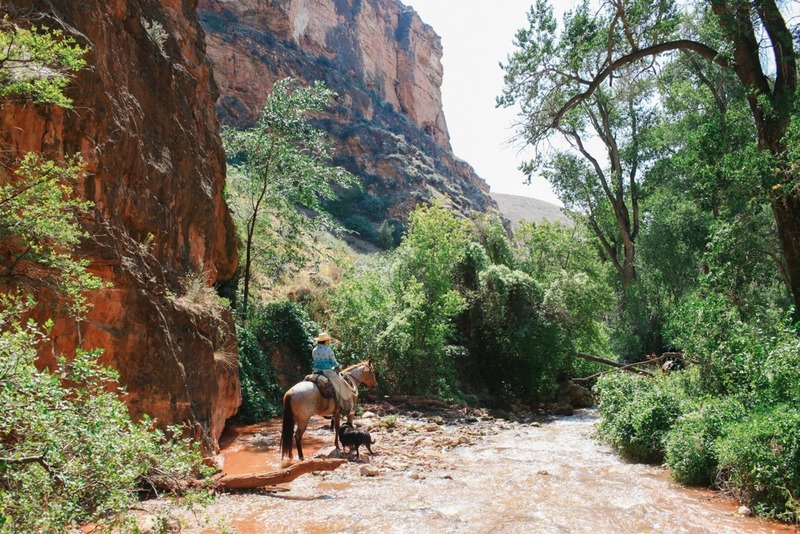 What truly makes our heart beat a little faster is the diversity of riding landscape that you’ll be able to cover over the five days of riding. 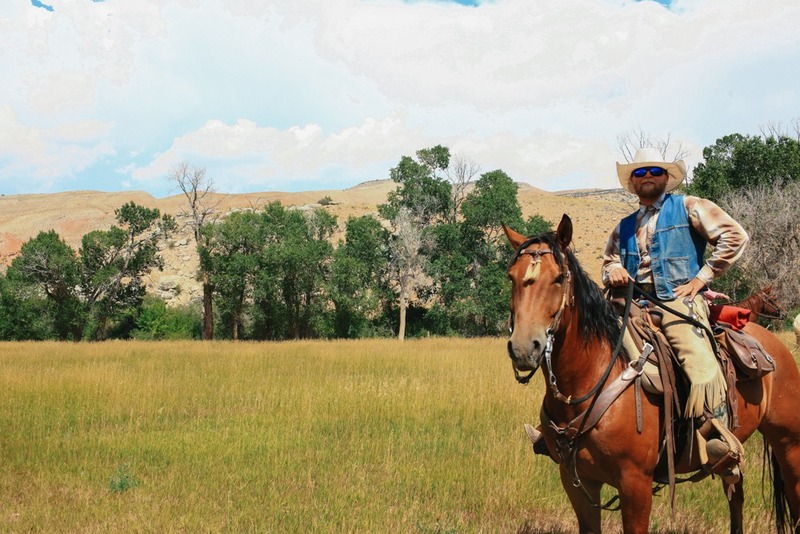 With over 650,000 acres of ranch land, you’re never going to ride the same trail twice. 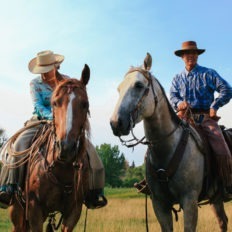 At cocktail hour over a crisp G & T you’ll discuss with your head wrangler where you would like to ride the following day. 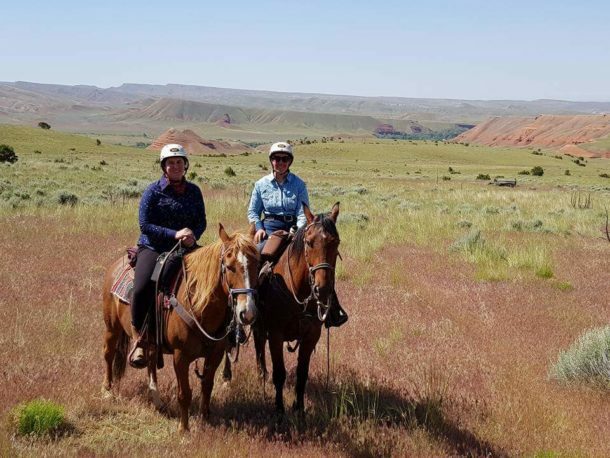 Then like magic, it’s organised and the following morning decked out in your chinks and cowboy hat, you’re picked up after breakfast and whisked off with your wrangler, fellow riders and trailer of horses to a riding destination that will make you grin from ear-to-ear. 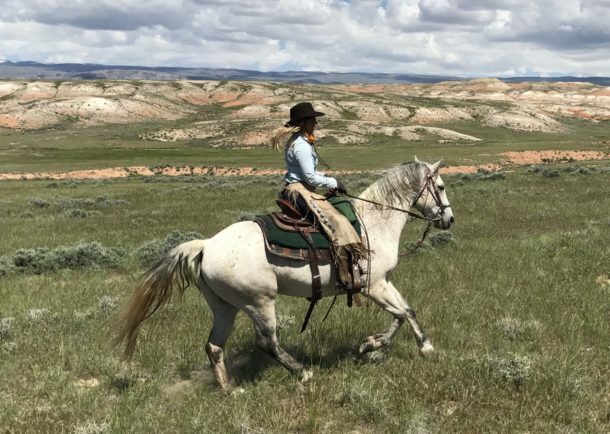 This guest ranch is the perfect option for a family (they take kids from the age of 8) or a couple where one is an experienced rider and the other is new to the saddle. 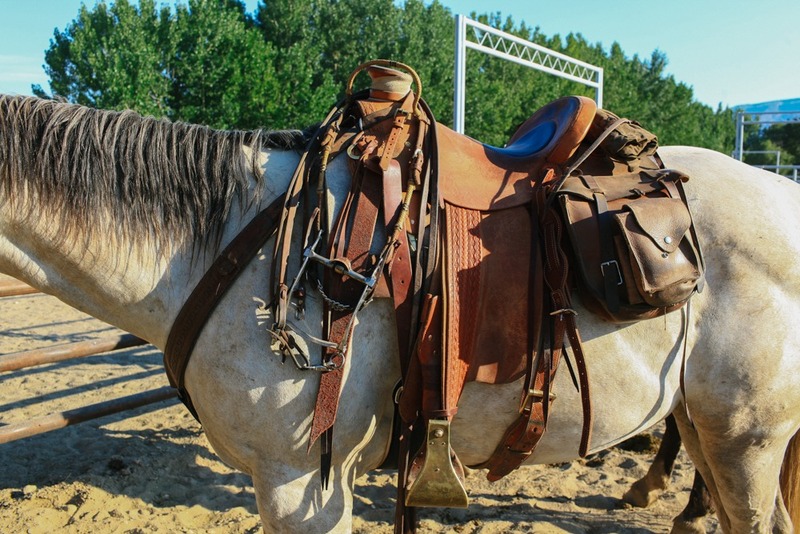 No matter what level of riding you’re at, you’re going to benefit from this horse riding program where every day is customised to your riding desires. 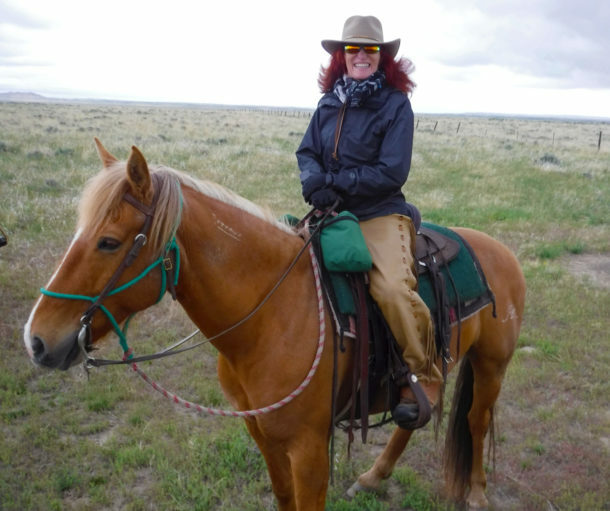 You can choose to poke cows, take a riding lesson, summit a mountain and enjoy a saddle-bag packed lunch, or have a half day ride and then trap shoot or fly fish in the afternoon. 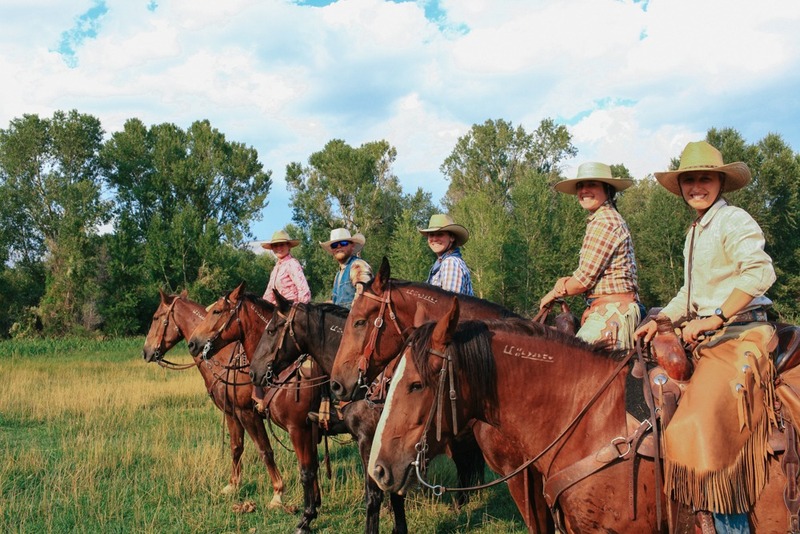 Your hosts and the team surrounding them are dedicated to making your riding holiday a lifetime memory and will move mountains, Big Horn mountains, to make you happy! 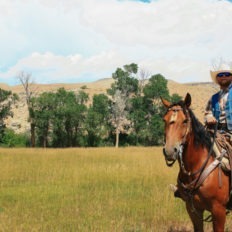 Rest assured, this is NOT a nose to tail, dude ranch, no siree! 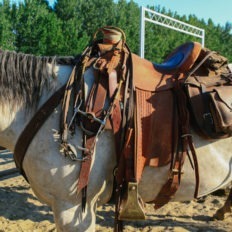 Horse Breed:Quarter horses, paints and Mustangs. 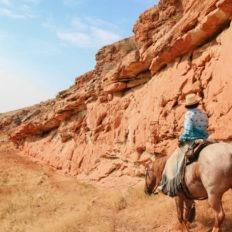 Pace:Variable depending on the terrain, with opportunities to trot and canter. Weight Limit:Maximum of 104kg / 230lbs. 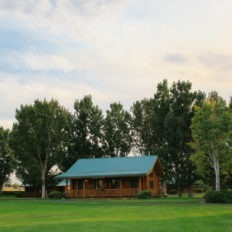 Seasons:The ranch is open from the beginning of April to early November. 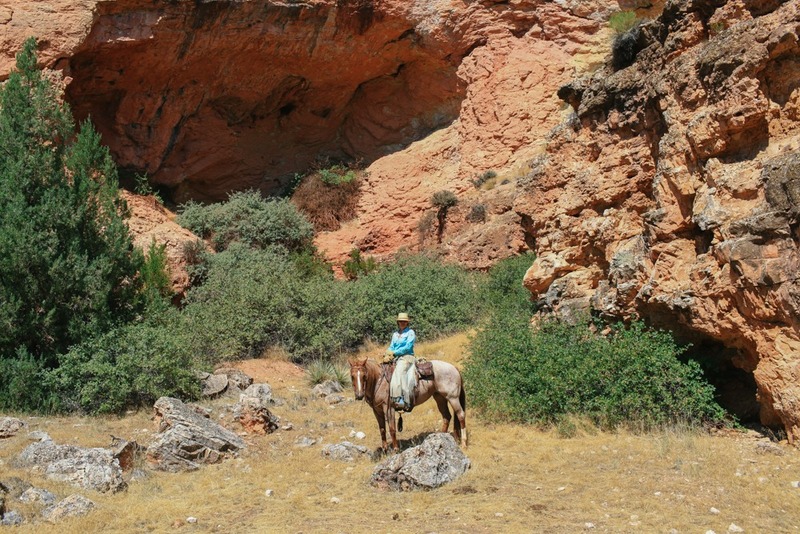 Shell is in a semi-arid climate, temperatures can vary widely in the Spring and Autumn seasons. 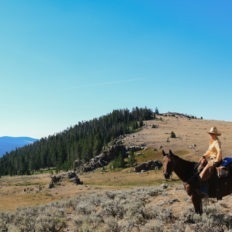 Temperatures in the Summer season will be hot in the Shell Valley and much cooler in the Bighorn Mountains. 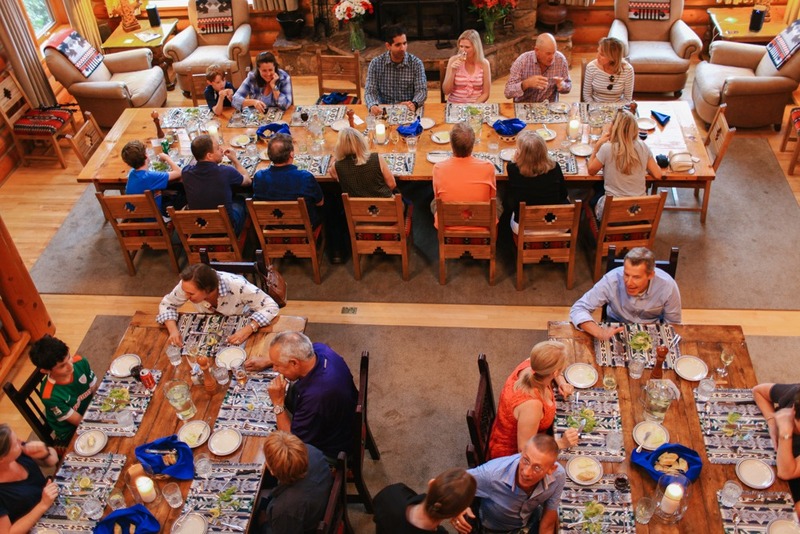 Group size:Approximately 25 guests per week; this is limited in early spring weeks (April) to approximately 15 guests per week. 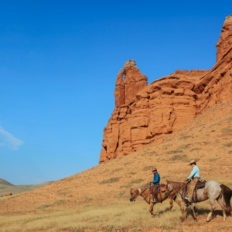 Time in Saddle:Guests choose between half day rides (2 to 3 hours) or full day riders (5 to 7 hours). 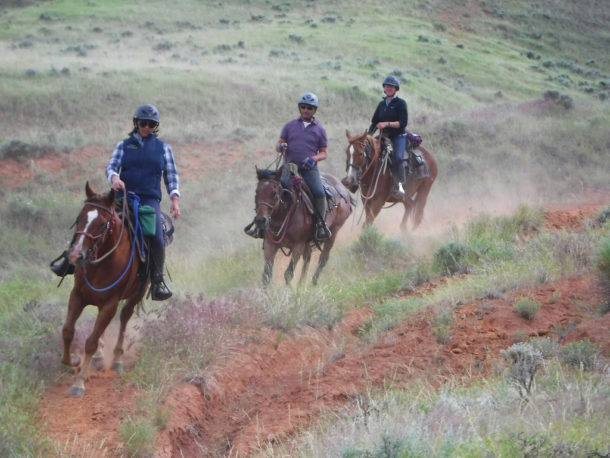 Riding Ability:Caters for beginners up to experienced riders, even professional riders. 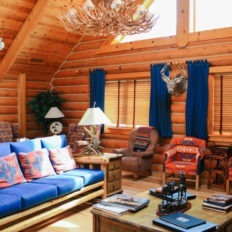 Accommodation:Western-style log cabins, built in 1992, are decorated with excellent furnishings in warm colours and kept sparkling clean and well maintained. 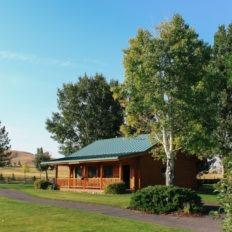 Emerald green lawns surround the five duplex cabins, which are connected to the main lodge, other cabins and hot-tub by a well-lit pathway. 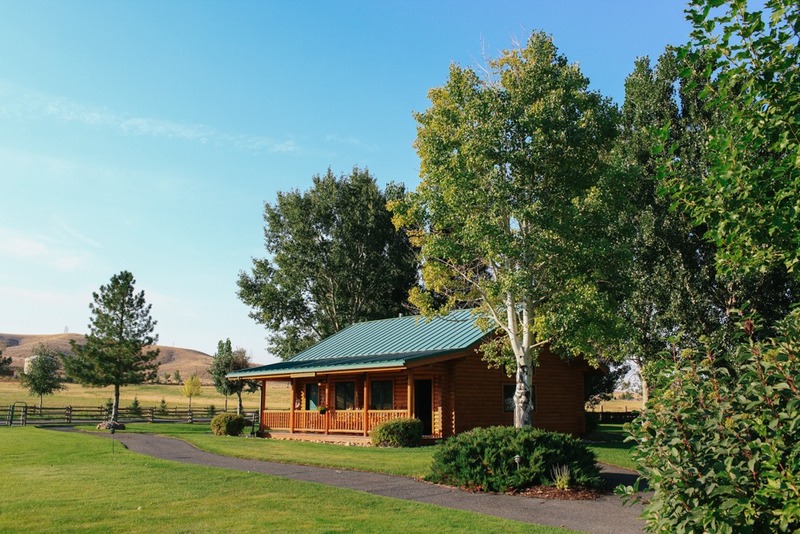 The guest cabins are cleaned daily and sheets are changed mid-week. 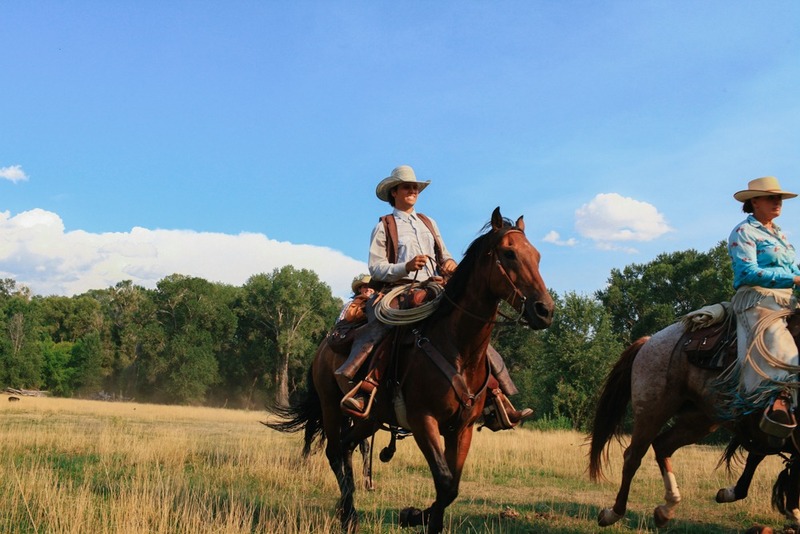 Ride Length:4, 6 and 13 night stays available. 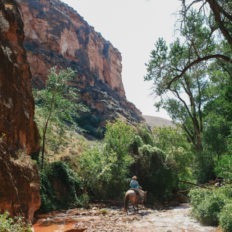 Inclusions:The price includes all horse riding activities from riding orientation, horsemanship lessons, cattlework with guides and wranglers and daily scenic rides across mountains, meadows and through canyons. 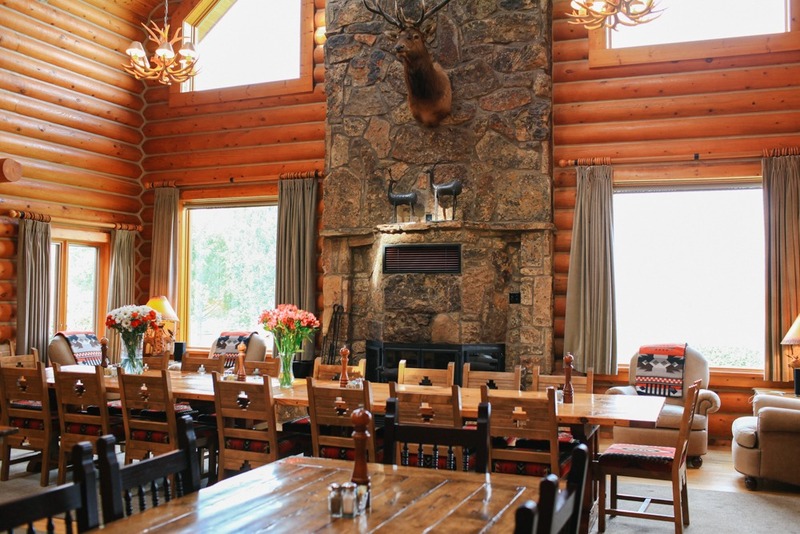 The price also includes a mandatory 5% tax and 15% service charge, which includes all tips. 26th May 2019 1st Jun 2019 Only 1 spot left! 16th Jun 2019 22nd Jun 2019 Only 1 spot left! the season you’re booking in. 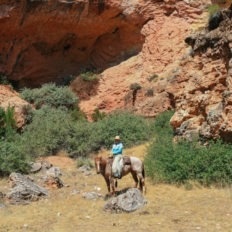 The price excludes international flights, transfers to and from the ranch and travel insurance. Why is the price quoted in USD? Please note, this is a suggested itinerary only and subject to change at the discretion of your guides due to weather and other influencing factors. 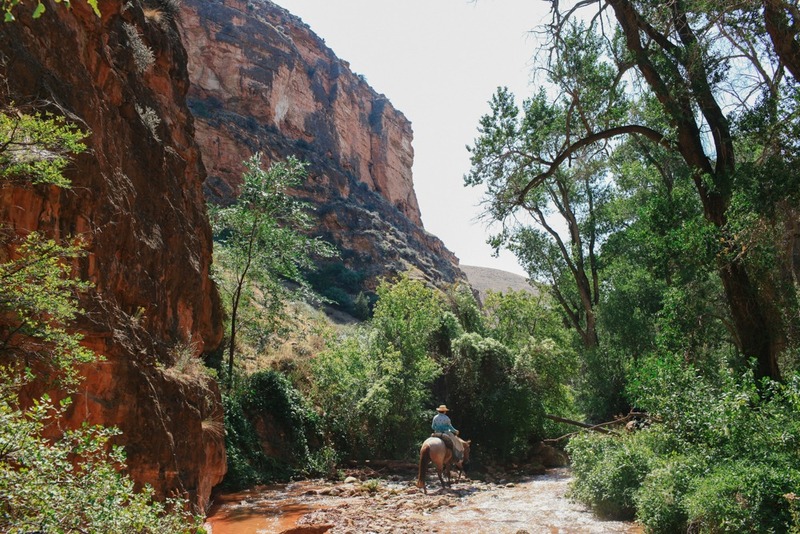 With so many trails and oodles of acres to explore its impossible to list them all. 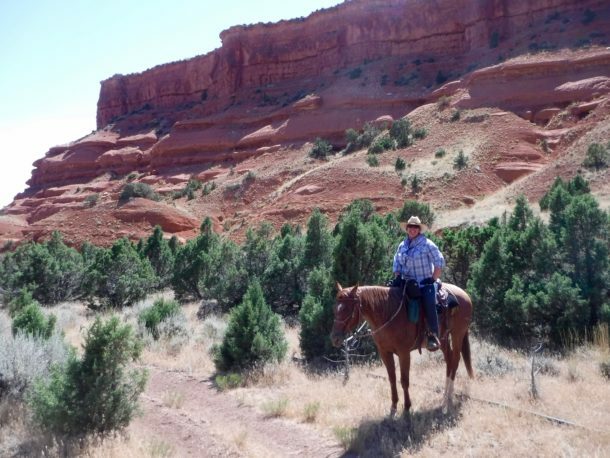 This is just a sample itinerary of what is possible when taking our lodge riding vacation but believe me when we say, there is endless trails and change of scenery available on this amazing ranch ride. Check-in time on Sunday afternoon is after 2pm. 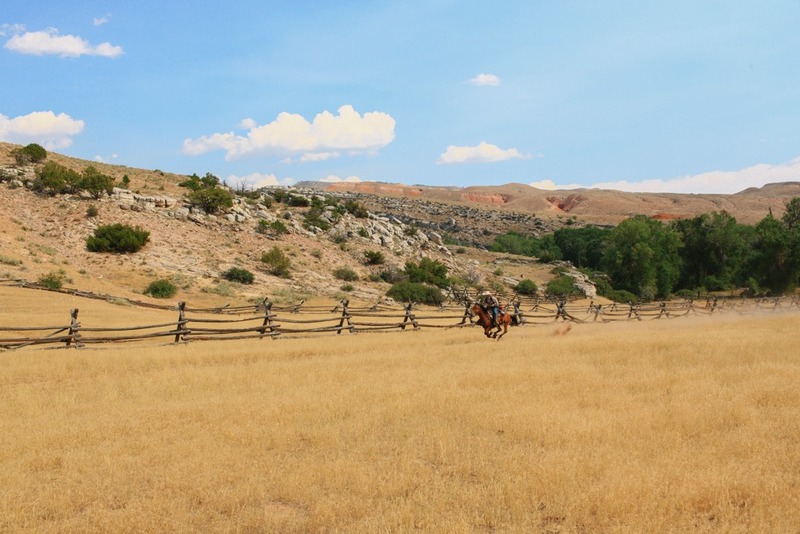 There are ranch tours at 3:30 and 4:30 which are optional but guests have the opportunity to see the area in which the ranch operates and be shown the barn. 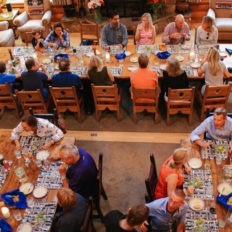 Cocktail hour is at 6:30 and dinner will follow at 7:00 pm. 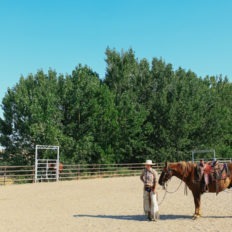 Monday morning is a theoretical riding orientation followed by guests riding together with the wranglers in the arena. 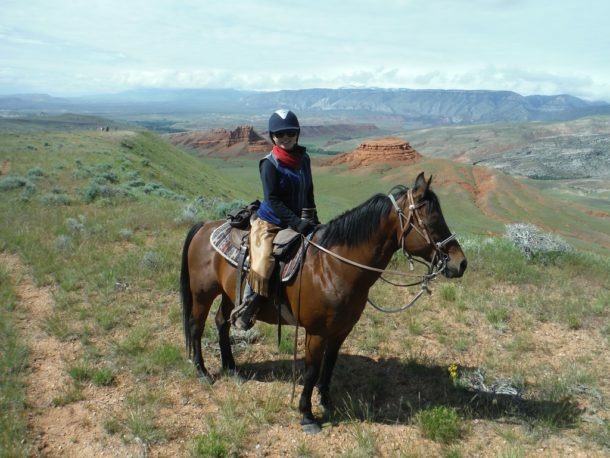 Because of the level of riding that takes place at this guest ranch, the experienced staff make sure globetrotters are mounted on a horse suitable for their riding level and pace. 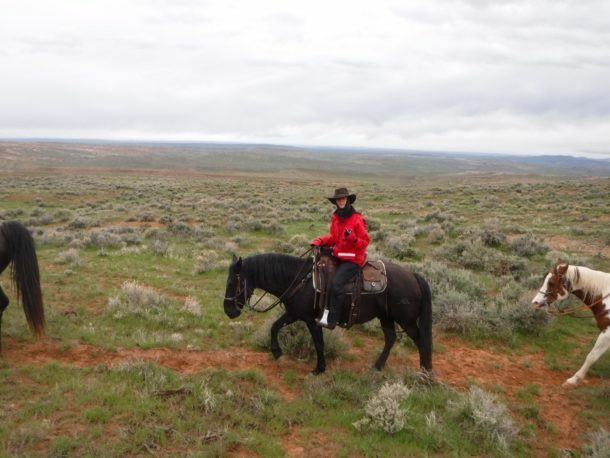 After the time in the arena, there is a short ride out around the nearby property before heading back for a wonderful, elaborate hot lunch. Monday afternoon provides guests with gorgeous scenic rides in the Shell Valley. 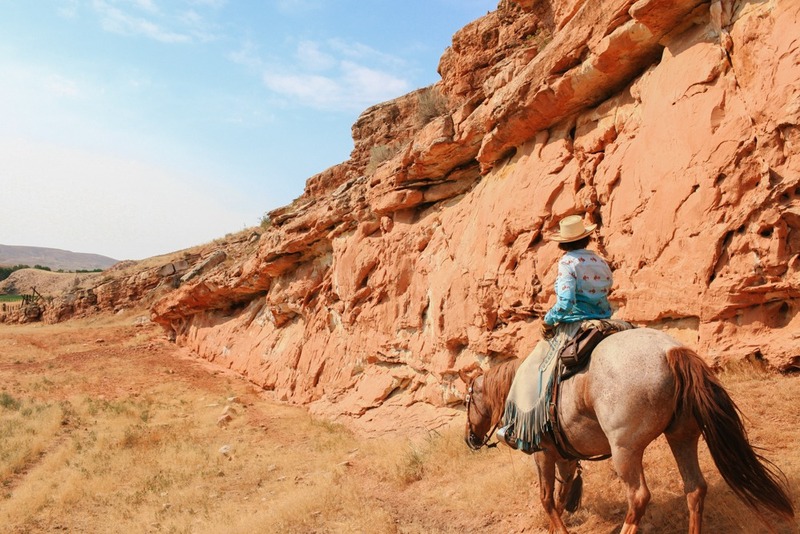 The diversity of terrain in the Shell Valley is indescribable and rarely seen in any other area. 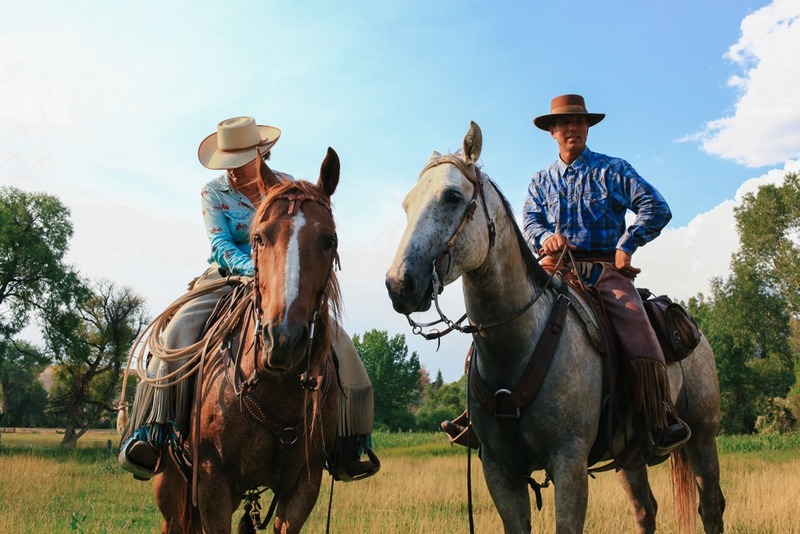 Because the property limits guest numbers to approximately 25 per week, guests have the option to choose their riding and activities each day. 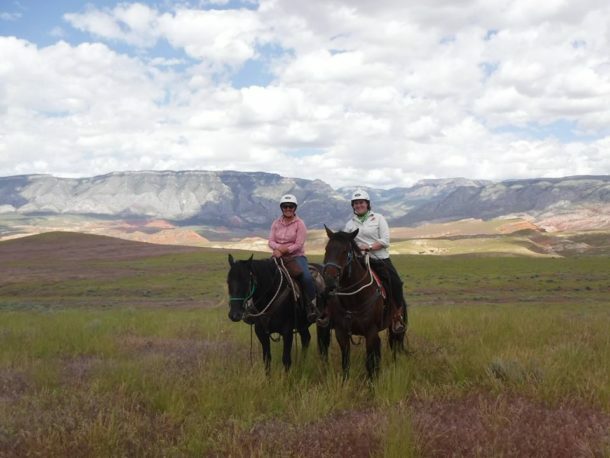 This allows each guest to customize their riding vacation while at the ranch. 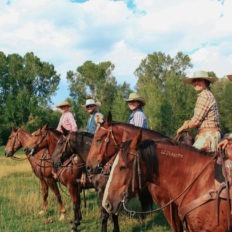 Each night at cocktail hour guests meet with the General Manager or Head Wrangler to decide on their next day’s riding or non-riding activity. 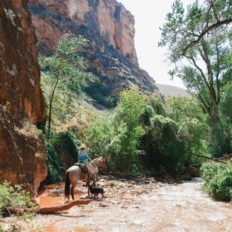 At the ranch guests are always offered the opportunity to go on half-day scenic rides, all- day scenic rides and also a variety of non-riding activities such as fly-fishing and trap shooting. 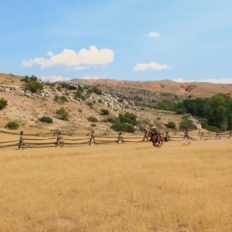 Cattle work is offered when available. 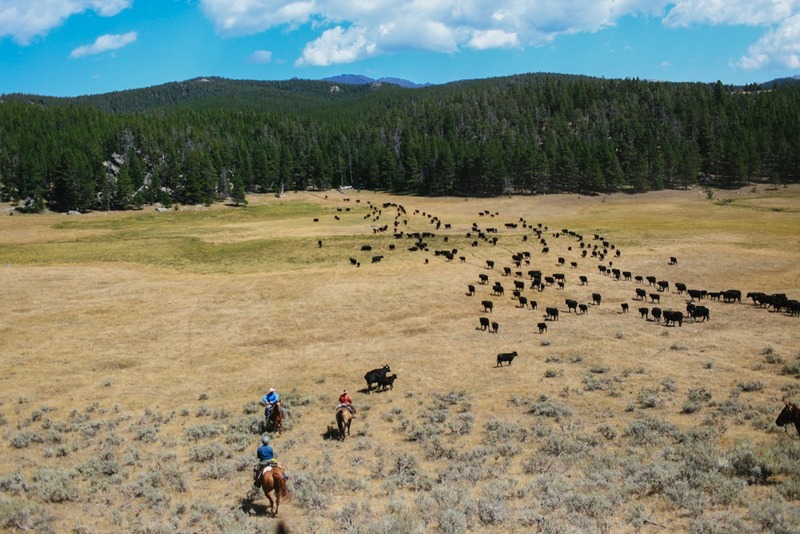 Typically throughout the week cattle work is offered on two different days. 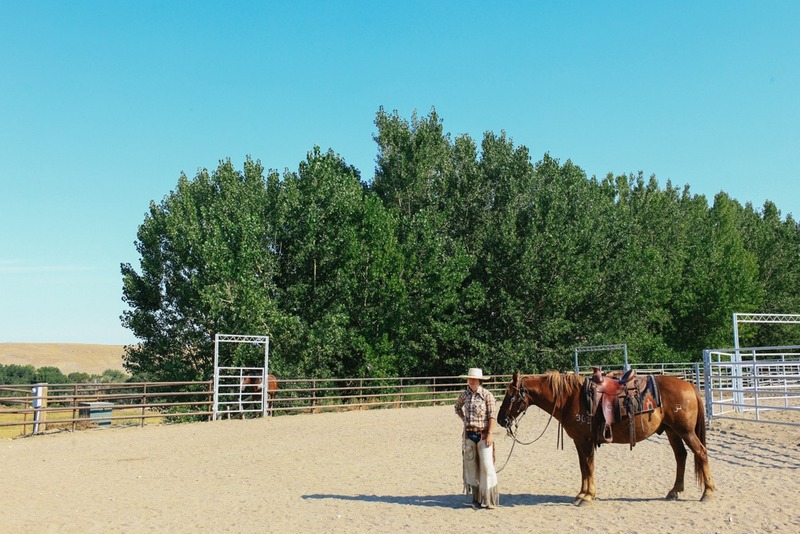 Cattle work is not made up and is done at the request of our partner ranch and is real, necessary, authentic work. 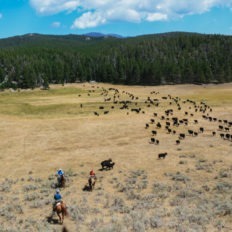 When cattle work is available it will be made known at cocktail hour each evening and guests have the option to participate or not. 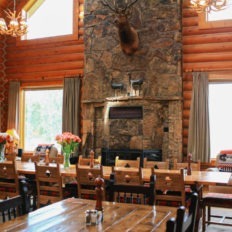 After a delicious breakfast, guests check out and depart on Saturday morning. Check-out time is 10:00 am. 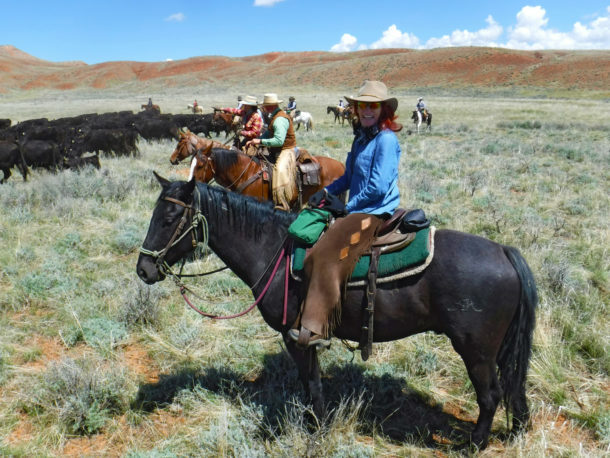 This working guest ranch is located in gorgeous north-central Wyoming in Shell Valley, shadowed by the Big Horn Mountains. 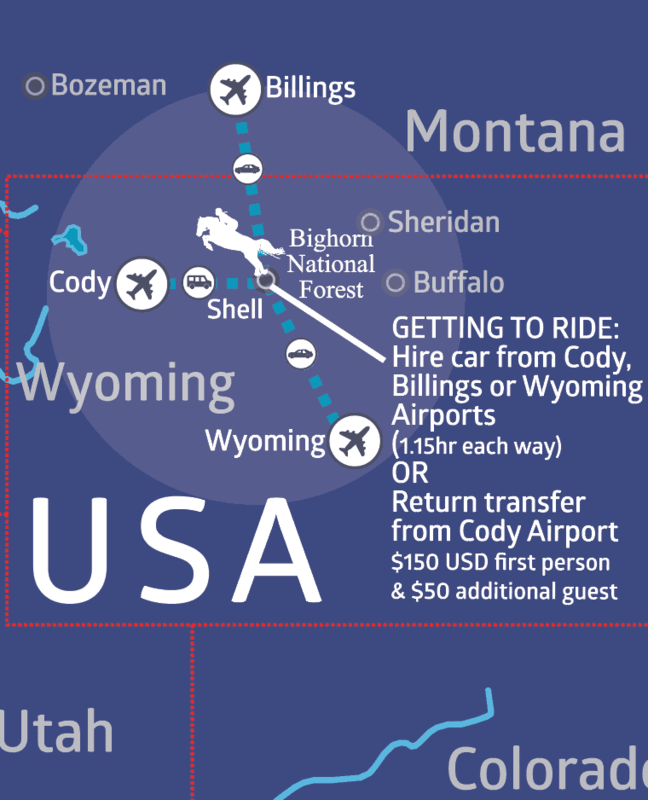 Most guests fly into either Cody, Wyoming or Billings, Montana and get to Shell, Wyoming by hire car (the drive is approximately 1hr and 15mins). 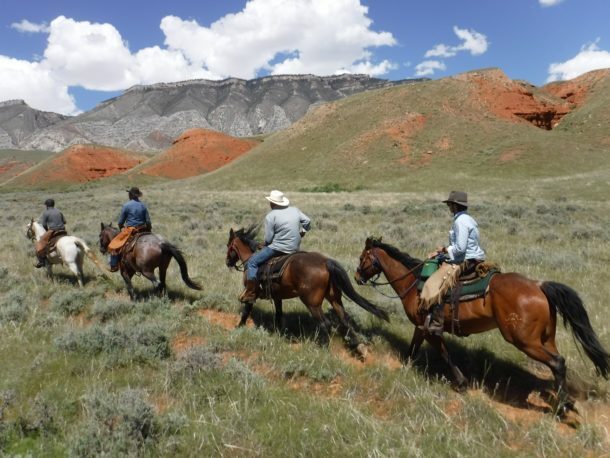 There is also a transfer service available to riding guests to and from Cody, Wyoming. 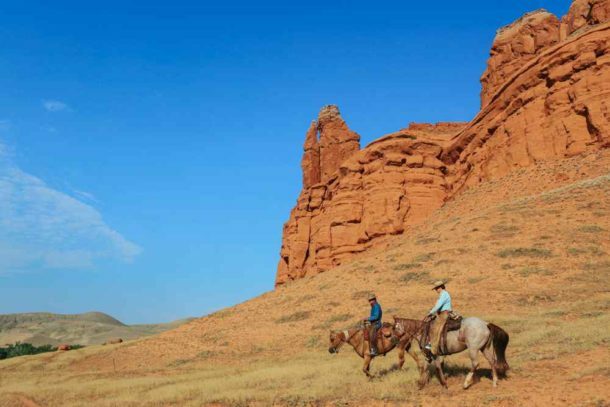 The cost is $150USD for the first person and $50USD for each additional guest, round-trip. 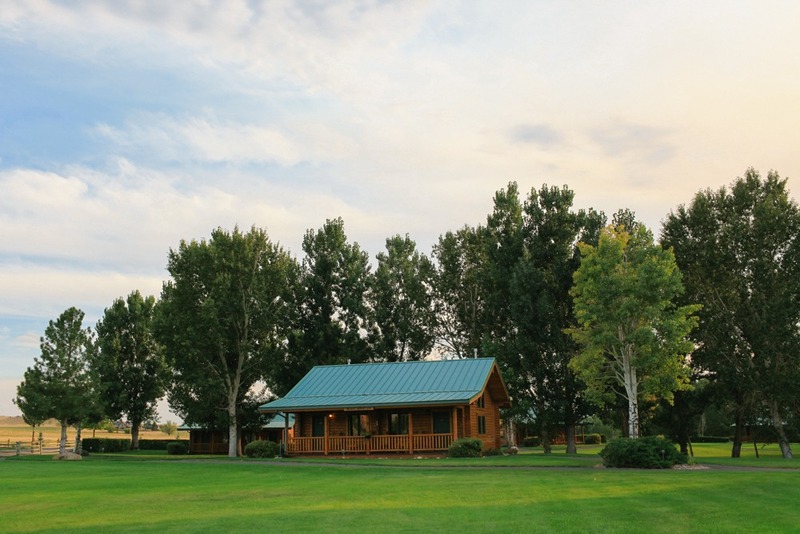 Pick up in Cody on day 1 is between 12.30pm to 5.00pm. Drop offs are mid morning on the last day. Please don’t book departing flights until after midday. 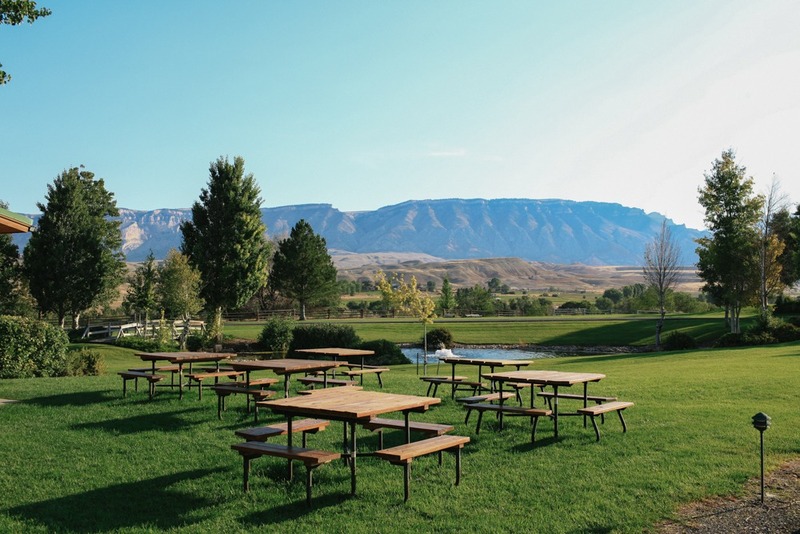 It is strongly recommended that you arrive in Cody a day or two early to avoid the stress of flight delays/cancellations affecting your holiday. 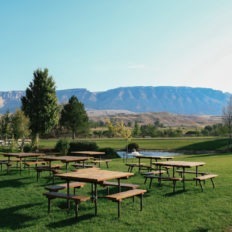 Cody is a fun town in which to spend a day or two.